﻿Last Sunday, as I was drinking coffee and thinking about what I'd write about in my next blog post, my husband asked me if I'd read the comic strip Pearls Before Swine. Not yet, I said, since I'm usually the last one to get my paws on the comics section, having to make do with Travel and Texas Living while everyone else gets their Baby Blues on. But when I did read it, I had to laugh. The only thing Stephen Pastis got wrong was the amount of time spent on Words with Friends. 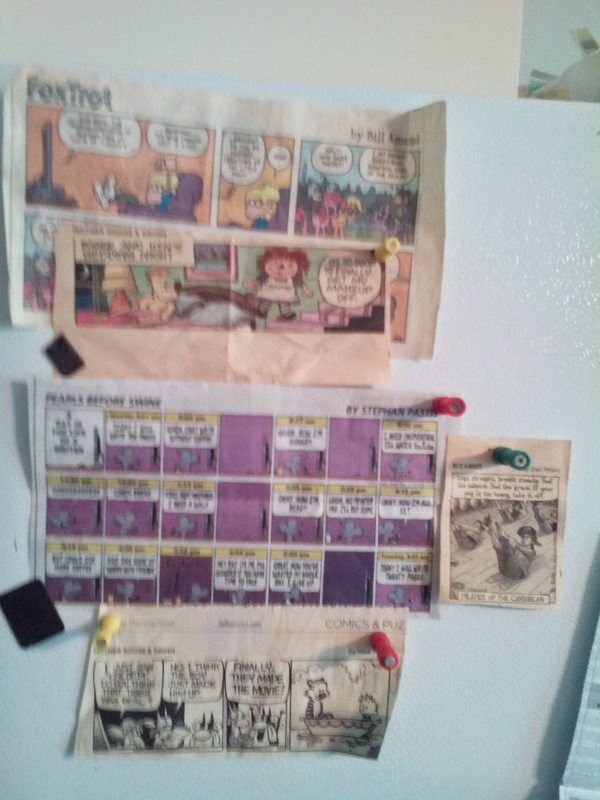 I promptly clipped the strip and stuck it under a magnet with the curling collection of my favorite strips pasted to my fridge. No too many strips make the cut. Funny Pamela should write about her love for movies and books the very next day. That strip and its arrival on my refrigerator got me thinking about the things I most love, and how I remind myself of that. And it was right there in front of me, under a magnet or a magnet itself. A few weeks ago, in a fervor of de-cluttering, I eliminated much of the detritus littering the front of my fridge. Goodbye to old receipts, to business cards whose owners I'd forgotten; farewell cake-in-a-cup recipe and expired coupons! But the magnets that I began collecting several years ago when I realized what I wanted to commemorate the places I've been with magnets instead of stuff?--those I decided could remain. Should remain. Deserved to remain, and I wanted them to, because they were decorative yes, but mostly because I love them. They represent where I've been, both on my own and with my family, and every time I fill a glass with ice I'm reminded of the places I've been and inspired for the adventures I hope to yet undertake. And now there's room for so many more. Books aren't left off. One of my favorite magnets doesn't feature the architecture of the house or fauna of its grounds but the words of the owner. About five years ago, my kids and I, along with my mom, stopped at Monticello, Thomas Jefferson's beautiful home. After marveling at his genius designing the house, being awed by his accomplishments and legacy, we stopped in at the gift shop and what grabbed my attention and affection was a line to a letter he penned to John Adams, one of his greatest friends and foes. 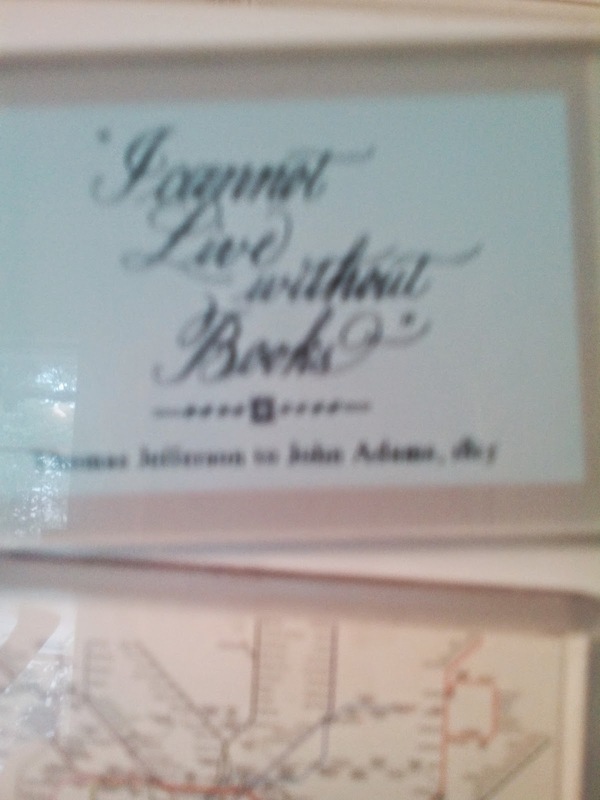 "I cannot live without books," he wrote in 1815. Interestingly, that's the same year his entire collection, over 6700 books, was sold to the United States to replenish the Library of Congress, whose collection had been burnt by the British during The War of 1812. By the time Jefferson died in 1826 (and Adams too, on the same day, July 4, the fiftieth anniversary of the document both men created and signed), he'd amassed some 1600 fresh volumes. That's love. The comic strips are love. 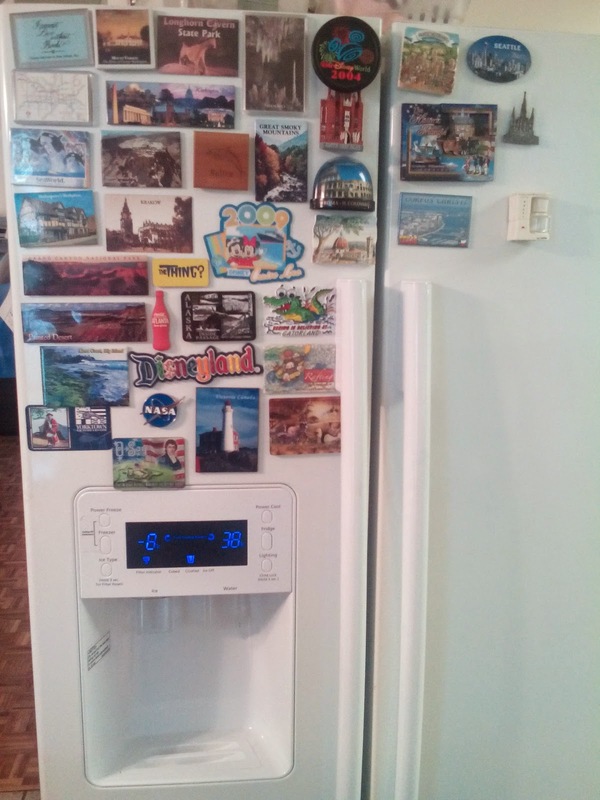 My magnets of Krakow and the Great Smoky Mountains and the Kona coast, all of it, all of it love. Front and center, a reminder to me every day when I grab an apple or milk for my coffee of what I love. Reading and writing and travel and family. The other side of the fridge? Pictures of my family, of course. Two of my favorite pastimes are reading books and watching movies. So when those two passions collide, it's a good thing--somewhere between chocolate/caramel and Dubliner cheese/apples. Last week I saw the movie Begin Again and today I'm already aligning my calendar and commitments so I might see it again. Yes, it's that good and, as a writer, I could relate to the underlying current of artist vs. business that runs throughout the movie. I'll not spoil the ending, but it's a must-see for any creative spirit. During the trailers, we got a look at some upcoming movies which prompted this post: three books that I've LOVED are soon-to-be movies. If you haven't read these titles, I encourage you to read them before seeing the movie. If, like me, it's been years since you've read The Giver, reread it. Over 15 years ago, I read Lois Lowry's Newbery Medal winner The Giver and have reread it a few times. In anticipation of the movie's release (what took them so long? ), I'm reading it again with my book club at the retirement home. My sons read it for their English class, my 10-year-old read it recently and my 30-year-old niece said she reads it every few years. So, I'm really jazzed to see Meryl Streep step into this project of a dystopian society that has such a mass readership. I read Gillian Flynn's Gone Girl over a year ago and spent days contemplating the story. How does her husband sleep next to her? I thought of the author. Why did she end it like that? I wondered. After I mulled the story around, I knew it was a perfect telling of a marriage where one spouse is a sociopath. I learned recently that Flynn not only wrote the screenplay, but she changed the ending! I'm not sure if that's in response to readers' reactions or simply it better fit the parameters of telling the story on the screen, but that makes me want to see the movie even more. Which could likely be the real reason she changed the ending! I read Cheryl Strayed's captivating memoir Wild last year, too, and at the time never thought about the prospects of making it a movie. In April last year, Susan, Joan and I went to see Cheryl at the DMA and learned more about Reese Witherspoon's production company making the story a film with Reese portraying Cheryl. Last week I watched the trailer for the first time and thought Reese the perfect person for the role (which I didn't at first, even though I thought she did great in Mud). I'm almost giddy with anticipation. Aren't you? Most of my literary crushes are transitory, lasting only as long as it takes for me to finish a novel or until the hero does or says something that annoys me, whichever comes first. I don’t remember their names a month later. Some, such as Mr. Rochester in Jane Eyre, Claude Monet in Claude and Camille, and Tom Cole in The Day the Falls Stood Still, remain with me, luring me back to their pages later so I can experience that heady rush again. These infatuations feel more like lingering memories of full-blown love affairs. The daydream dissipates soon enough, though, because I've already lived those stories. I know what he’ll do, what he’ll say, and I know how it will all end. I've only ever had one literary husband. I met him back in 1992, when I was 17 and he was 21. We've shared eight epic adventures spanning 22 years and over 7500 pages, with the promise of more to come. We've aged together, though he has done so at an accelerated pace – he’s 58 at the end of the most recent book – and he continues to exhilarate, exasperate and surprise me. I may leaf ahead to find out how long I must wait, but I always read every word in between. And now, after years of wishing someone would do the obvious thing and make a TV series, it has happened. Even better, Diana Gabaldon herself has quite vocally approved of the casting choices of Sam Heughan for Jamie and Caitriona Balfe for Claire. The previews look amazing. The show officially premiers on Starz August 9th but fans can watch the first episode online on the 2nd. I've already cleared my calendar. 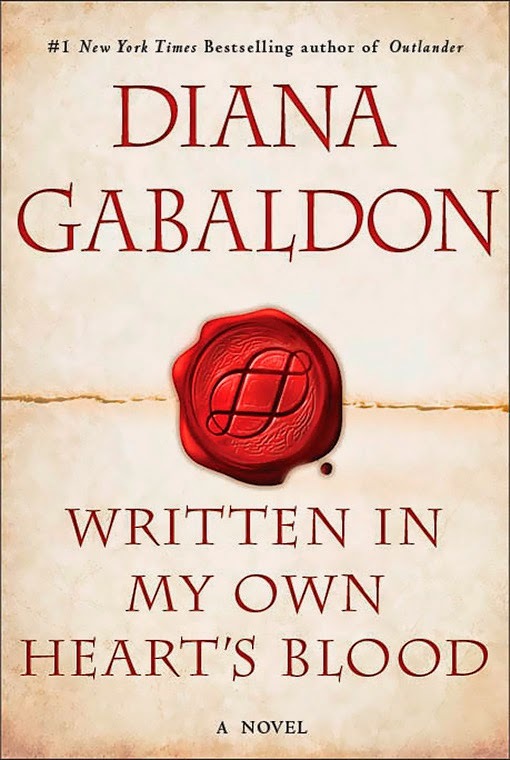 Have you read the Outlander books? What are your thoughts on the upcoming series? Over the past five years, my writing circle has expanded significantly. Or rather, I've gone from one circle of writing friends to several circles, and this summer, my circles are beginning to collide, in all the best possible ways. My first writing circle is right here at What Women Write. Our group of six writers came together about five and a half years ago in Texas, and we've been writing and critiquing together ever since. My second writing circle is one created by the long distance bond between my agent, the editor I worked with on a second draft, and the community of people passionate about books and bringing a new story into the world, and me. The third circle is my Hindman family, and I can only call it a family because that's what it has become. We all met deep in the hollers of Eastern Kentucky, where most of us are from, at the Appalachian Writers Workshop. Just last week, one of my Hindman sisters came and stayed a few nights with me here in Texas. This circle includes writers many readers have heard of: Robert Morgan, Silas House, George Singleton, and Barbara Kingsolver. And it includes my close friends— writers you haven't heard of yet, but soon will—Donna McClanahan, Denton Loving, Mark Powell, Wesley Browne, Tia Jensen, Catherine Childress, Robert Gipe, Carrie Mullins and more. Writers I'm proud to call friends. My fourth writing circle is the new group of cohorts and faculty at the University of Tampa's MFA in Creative Writing Program. The visiting authors top the New York Times Bestsellers list, and my professors and mentors are incredible wordsmiths as well. Alan Michael Parker and Corinna Vallianatos have given me intense feedback on my own words already, and my new friends from school are ones I will carry with me throughout my writing journey. A few, like poet Mona Bethke and the fiction writers I've workshopped with already feel like friends for life. This week, I'm embarking on a new writing journey: I'm currently attending the Sewanee Writing Workshop in Sewanee, Tennessee. Here, my circles overlap. Friends from Hindman will be workshopping with friends from Tampa. We'll have threads of commonality weaving through the room. My agent is a longtime supporter of writers and instructors from this conference, and has represented both faculty and fellows from Sewanee. How does this help my writing, you may ask? What is the benefit of these writing circles? Writing, after all, is a solitary and lonely profession. How can knowing more writers help a fledgling writer like myself become the writer I want to become? I can only say that to know you are not alone both when you struggle and when you celebrate is a joyous gift. Expanding and colliding circles of writers bring people together with similar joys, fears, roadblocks, and triumphs. It pushes me forward. It keeps me on track. And friends—especially writing friends—are always good to have. Who can argue with that? Every so often a book or movie comes along that is quiet yet profound, a story that makes you slam your back against the chair, stare at the ceiling and wonder how something so simple and understated can be so insightful. 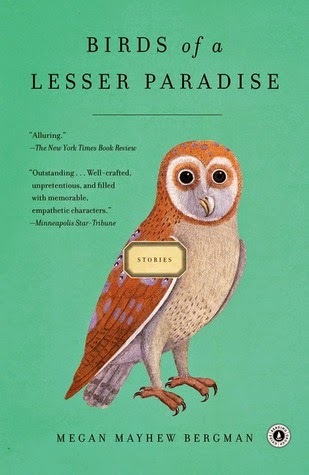 That book might be Cheryl Strayed’s Tiny Beautiful Things, Rachel Joyce’s The Unlikely Pilgrimage of Harold Fry or Megan Mayhew Bergman’s Birds of a Lesser Paradise. I’m a fan of Richard Linklater’s Before Sunrise series, also simple and understated. 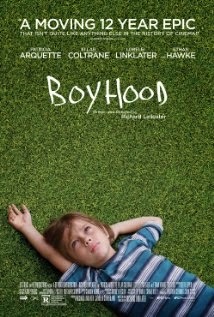 Now in his latest achievement, Boyhood, writer-director Linklater delivers a brilliant look at a boy’s life from age six to eighteen. He filmed the movie over twelve years, a few days each year with the same actors, including Ethan Hawke, Patricia Arquette, the director’s daughter, Lorelei Linklater, and Ellar Coltrane as the boy, Mason. Watching Mason navigate his dysfunctional world is a study in how life shapes us, how we’re deeply affected by our own decisions and by those around us, by our joys and mistakes and missteps. When bowling gutter balls with his every-other-weekend dad (Ethan Hawke), Mason pleads for bumpers so he can knock down some pins. “You don’t want the bumpers,” his dad says. “Life doesn’t give you bumpers.” And Mason’s surely doesn’t. Patricia Arquette ages on screen in a raw and heartbreaking role as she makes one bad decision after another, both for herself and her kids. Toward the end of the movie, she says goodbye to Mason as he leaves for college, reflecting on their years together. 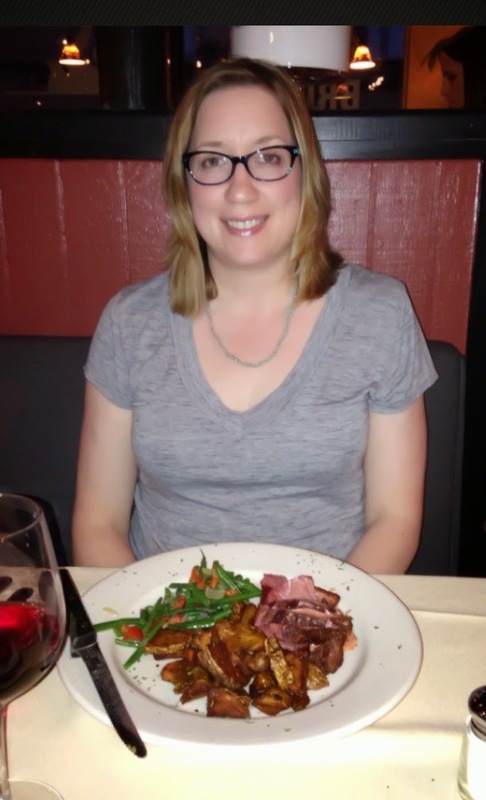 After divorcing three husbands, getting her degree and landing a teaching job, after birthdays and graduations, she thought there would be more. She is left staring at her final milestone: death. It’s the type of movie you want to talk about, to text your son about, to see again. It’s the type of movie that makes you want to write an understated and insightful story of your own, a culmination of your experiences and heartaches, your joys and mistakes and missteps, your quiet life. A few days ago my family and I returned home from a vacation in a little Ozark town called Eureka Springs, Arkansas. A more apt name, at least to this historical fiction writer, is Heaven. Nearly every downtown building there features a plaque from the National Register of Historic Places, making the veil between past and present feel especially thin. For those sensitive souls (like me) who pick up on the energy of places, that veil was all but transparent in the lobby of the 1886 Crescent Hotel. For the benefit of those who have never had a physical reaction from walking into a building or over an old battlefield, this picture is the best visual representation I can offer for how it feels. Heavy was an apt description. Evidently she’s inherited more than my artistic bent. The longer I stayed in Eureka Springs the easier it became to look past the modern clothes, smartphones and other gadgets that ground us all in the twenty-first century. When I boarded a 1920s steam train in ninety-degree heat I could almost hear my great-grandparents laughing from their perch beyond the pearly gates. 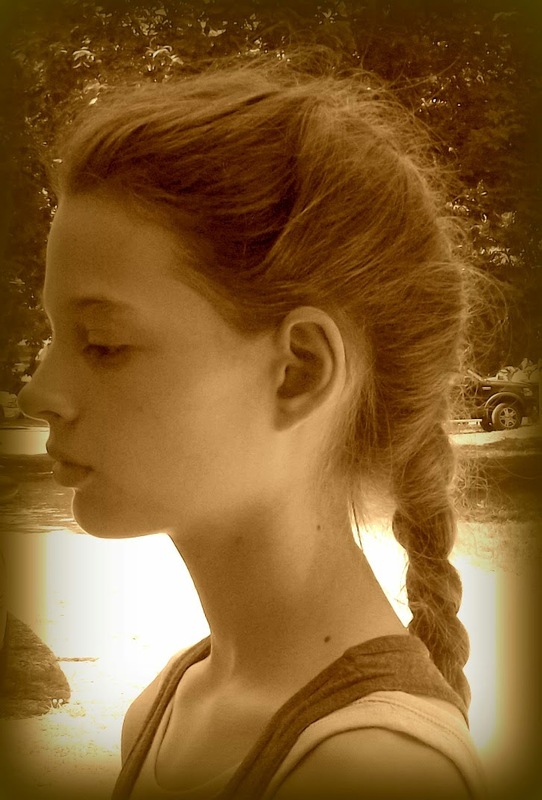 “Where’s the air-conditioning?” my youngest asked once sweat dampened her hair. 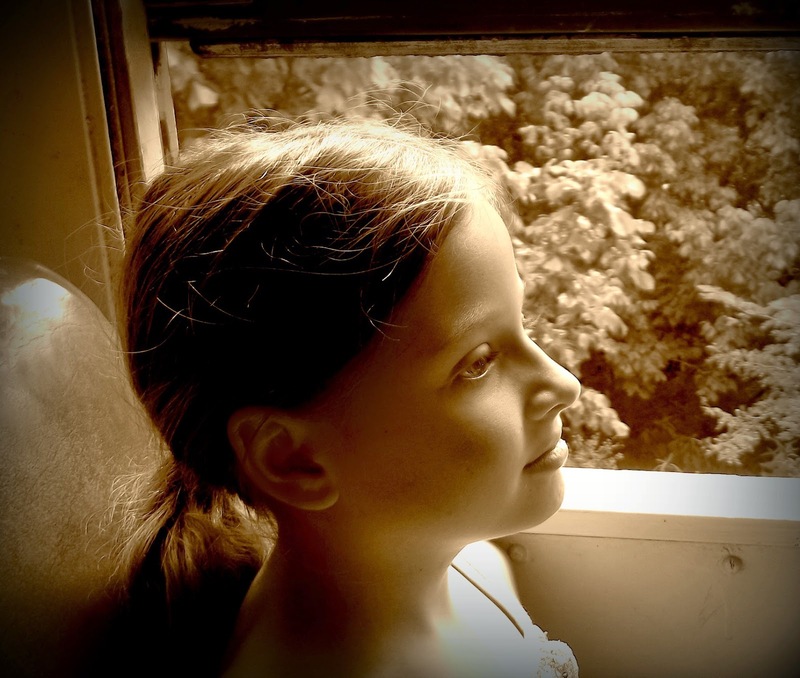 While editing our vacation photos, I've lingered over those shots that could have been taken in another era, or those where my daughters adopt a pose, expression, or even a hairstyle once worn by a distant grandmother. A few clicks in an editing program and the Technicolor world I live in fades into sepia, becomes a living past. It makes me itch to write. What about you? Have you ever been to a place where you felt history come alive, or that energized your writing? We’d love to hear about it. 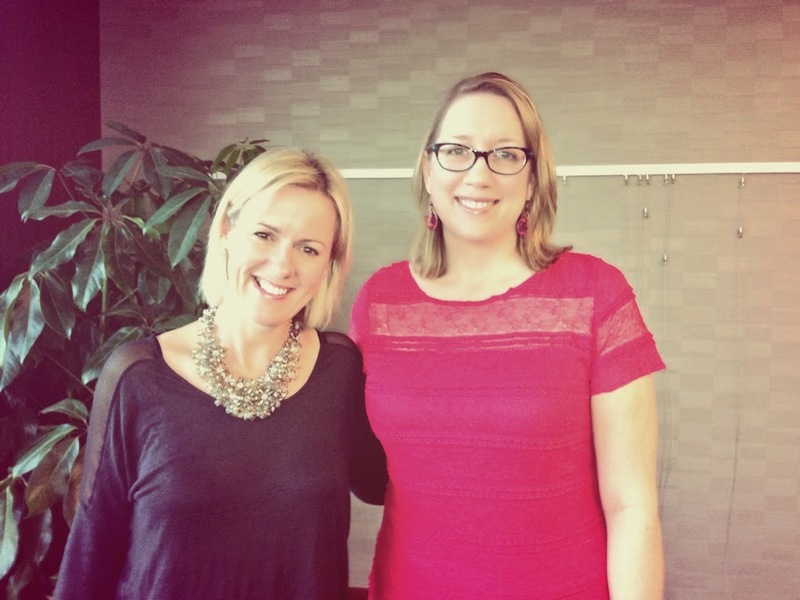 Me being all awkward fangirl next to Jojo Moyes. It was a nice little oasis in the middle of this otherwise averagely hot summer in DFW to drive over to see British novelist Jojo Moyes speak at the gorgeous University Park Library last Thursday evening in support of her latest release, One Plus One. I've been a huge fan of Moyes since ... I don't even know when. 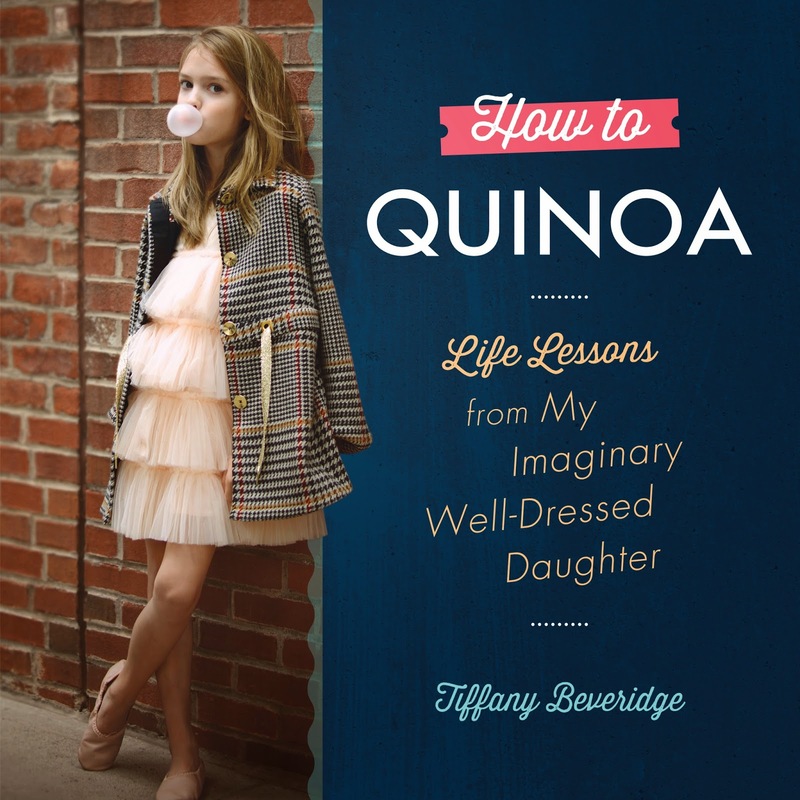 I was ordering online wherever I could and devouring her books even before they were available stateside, and I'm not even sure how I heard about her. Maybe I lucked into a copy of one at Half Price Books or something, but once I got started, I was hooked. In her novels and in person, she's charming, funny, and lovely in general. I was thrilled to get a chance to meet her, and I suspect I might have gone a little fangirl in my level of awkwardness as I approached the signing table. Moyes has published twelve books since her debut in 2000, and I've long admired her courage to write the story her heart desires instead of trying to brand herself as an author with one very particular type of novel. This matters to me because I suspect I'm headed that direction. Nope, I'm not plotting a sci-fi, fantasy, or cozy mystery. Not hot and heavy romance. But I don't see myself writing "fiction that blends historical with contemporary," like Calling Me Home, every time I write a novel. 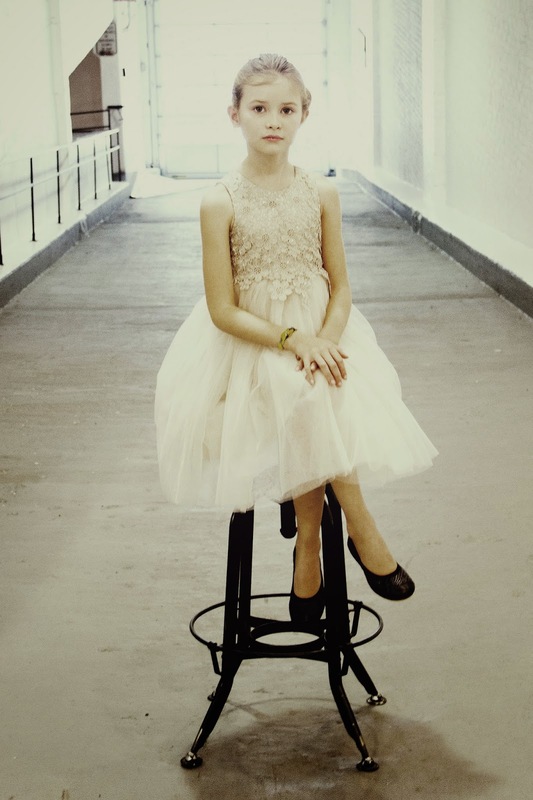 It can be a little intimidating to step out onto that little ledge in this brand-heavy world. I asked Moyes about this during the Q&A -- how her pubishler reacted, how her readers reacted -- and whether or not she saw a particular theme emerging even if she was writing fiction that didn't quite fit a mold. I knew the first part wasn't a new question. She's mentioned it in other interviews. Her response was that it was not so great when her sales weren't hopping, but since Me Before You broke out and proceeded to sell something like three million copies, it's been considered a plus. She smiled, and I suspect her answer was a bit tongue-in-cheek, but I think I understood. What that said to me is, "Write your heart out, and when you break out, nobody will care anymore." Good to remember. As far as the second, she said it was a new question. She thought for a moment, then said each novel seems to reflect the big question she's processing at that moment in life, even if it doesn't manifest the same way. That made sense to me as well. She mentioned it was less expensive than therapy. I quite agree. I admire several authors who seem to have similar paths and responses to these questions, in particular Chris Cleave and Chris Bohjalian. Not surprisingly, these two plus Moyes are three of my favorite authors in general. (Or, I really like the name Chris.) This path doesn't seem to have damaged their careers much at this point in life, so I think I'll follow their lead, and in the process, follow my heart. Never a bad place to begin. 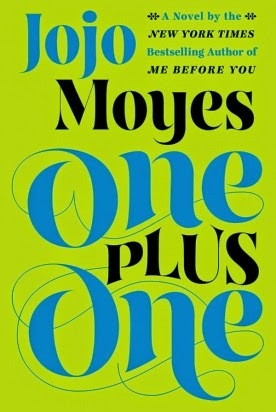 In the meantime, I can't wait to get started on Moyes' newly minted One Plus One, not least because it explores a topic dear to my own heart -- single parenting. I also picked up a copy of The Last Letter from Your Lover, one of the three in her list I haven't read yet. If you're new to Moyes, I suggest you start with Me Before You so you can see what all the fuss is about. If you're not so new but have missed some of her previous novels, give The Ship of Brides a try! I don't think you'll be disappointed, wherever you start. Many thanks to Jojo Moyes for coming all the way to Texas, where she claims the backyards are as big as her English farm, and the hospitality and barbecue are overflowing, too! You probably saw it in the news: LeVar Burton, forever Kunte Kinte to those of a certain age, forever Geordi to those of another, and the beloved host of Reading Rainbow to yet another generation, held a Kickstarter to reboot the show that ran on PBS for over 20 years, beginning in 1983. The new venture, which reached its initial goal in eleven hours, and raised over five million dollars from over a hundred thousand contributors, is an app and a virtual library. You can read about the kickstarter campaign and the plans Burton and his partners have here: Reading Rainbow Kickstarter. He's about to be famous to yet another generation, and as far as I'm concerned, that's terrific news. 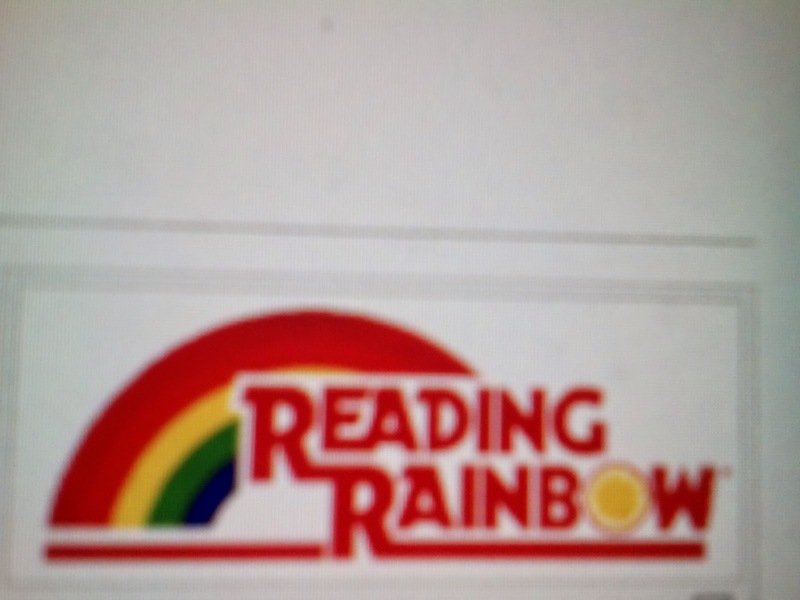 I didn't really watch Reading Rainbow myself. By the time it hit the airwaves, I was a teenager (and a bookworm); and while my kids were young enough to be viewers when it was still on the air, it somehow missed our radar. No worries: both of them can be found every day of the week with their noses in a book. I can't think of a day this decade when that was not the case. But that's not true of literally millions of children. Susan shared some grim statistics earlier this year. Those adults who don't read were kids who don't read, and many of them are raising a new generation who also won't read. As a bookworm, as the wife and mother and daughter and sister and aunt of bookworms, this makes me sad. I've seen plenty of kids who don't read, don't understand the value of sitting down with a good book, who might never savor the simple joy of cracking a fresh spine and diving into a story. Reading has simply been one of the greatest pleasures of my life. So when I saw that Reading Rainbow, a show I hadn't watched but had admired as I passed the TV on the way to the bookshelf, was getting a fresh run, I got excited. I understood this is another chance for another generation to connect with books, with stories, to open a little vein and let ink enter their blood. When books come up (and they always do; I suppose it's me), and non-readers hear how much my family reads (I swear it's conversation, not bragging), the inevitable reply is something along the lines of "Oh, that's so good!" And while I secretly agree, it hardly seems worthy of a compliment. It would be like me admiring how much they enjoy ice cream (another quality at which I excel). But then when I think about it (another thing I always do after these conversations), I wonder precisely why it's such a good thing. It's a pastime, isn't it, no different than playing the guitar or baseball or bridge? But it's not. It's more. It's solitary and shared; it's silent and aloud; it's quiet and boisterous and heart-wrenching and contemplative. It's the opportunity to step into any world (including those of musicians and athletes and card players), any time, and to soak up the history of the world. 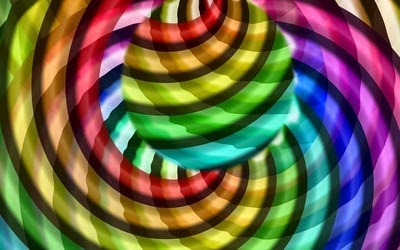 It's a rainbow, every color, every stripe, and it's available to everyone. Which is what the whole re-invigoration of Reading Rainbow is all about. Which is why I'm excited. And why it's time to stop writing this blog post: I've got a book I'm dying to finish, and LeVar, I'm going to go read. I love libraries. Last week one of my favorites, The Bodleian Library in Oxford, was offering tours of the old library and Radcliffe Camera. Such a magical place - if like me you adore rare books and bindings, onion-skin paper and dust. Since I’ve been in Texas, I’ve been to my share of neighborhood libraries, but also traipsed the stacks of the Fondren Library at SMU and trolled the basement stacks at the Fort Worth main branch. In 2005, my family and I ogled at the steps of this beauty, the Celsus Library at Ephesus. It was built between 117 and 120 AD but not excavated until 1904. A library with no books, yes, but still a place to absorb culture and history. I’ve never really made a bucket list, but I imagine it would include a visit to some of the amazing libraries I’ve seen in images floating over Twitter feeds or in magazines. Architectural Digest ran an article on the world’s best libraries. Of course, “best” is objective, as some of these, while architecturally dynamic and different, are too modern for my taste. Telegraph ran another article on the most spectacular libraries in the world. And so here are a few I'll add to the must-see list. I wish I could post images of these lovely places, but because of copyright issues, I added links. If you're so inclined, click through and enjoy! Here are just a few - if you've been to any, I'd love to hear about it. The library at the St. Florian Monastery in Austria with its Baroque main hall and other-worldly ceiling fresco. Trinity College Dublin - see fantastic images here. 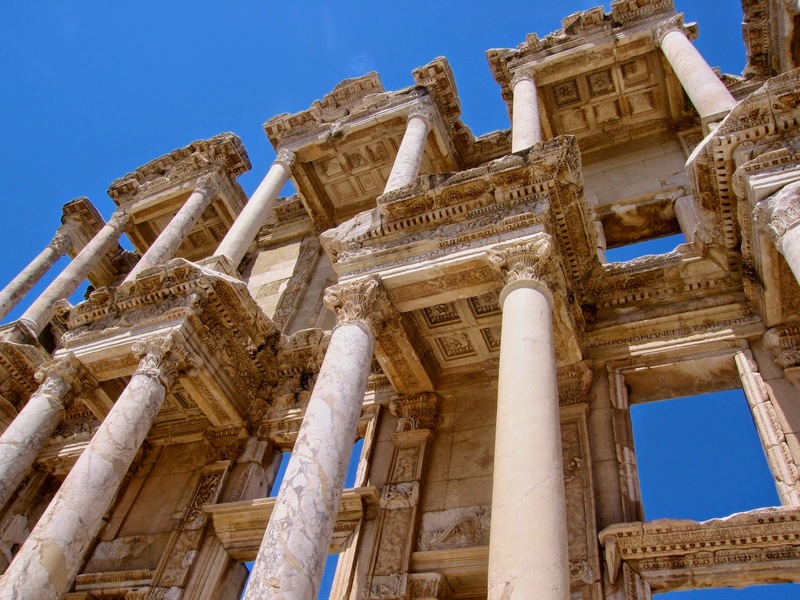 The library at Pergamum in its day was said to have 200,000 volumes. Two other reasons to visit: Parchment was developed there, and there's a statue of Athena, goddess of wisdom. Theological Hall at Strahov Abbey - image here. Bibliothèque Sainte-Geneviève, Paris, France – images here. Another in Oxford: All Souls Library designed by Hawksmoor, the brilliant 18th century English architect. Images here. Despite living in Maryland for 45 years, I never visited the Peabody Library in Baltimore. Images here. Your city might not have the most architecturally spectacular library, but I’m guessing you can find one with something noteworthy about it. Do you have a favorite library? 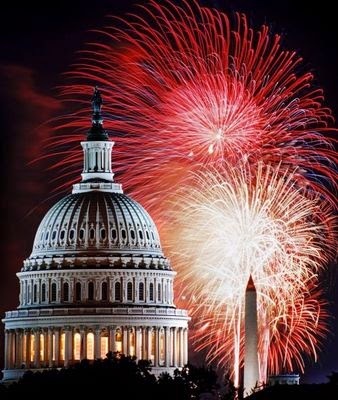 From all of us here at What Women Write, Happy Fourth of July! When you move into a new place, things are exciting. Your house is brand new to you, and you work hard to fill it up with all the things that are you -- every single thing seems very important. It fits. It shines. But over time, the junk piles creep in. Dust gathers on the tops of shelves and in the corners of window frames. And you think, "I'll take care of that eventually--no rush right this minute. I have time." Then, suddenly, you are done with the house, for whatever reason. 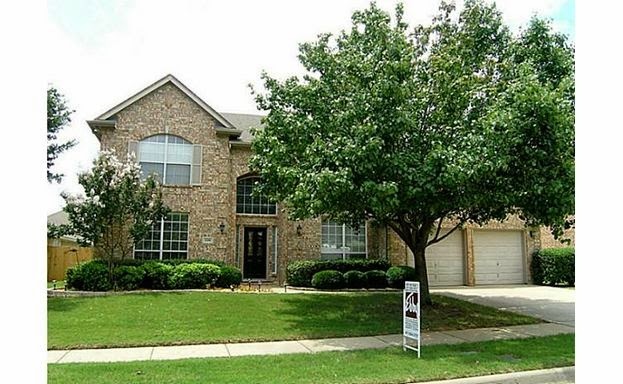 Now you are ready to SELL THAT HOUSE. My loft, before our house was listed recently. In the "it might get worse before it gets better" stage. Suddenly you realize that all the things that seemed lovely and personal -- or maybe just temporarily taking up space -- have to go if they aren't making your product -- your house -- shine to its fullest potential. You want it to be inviting. 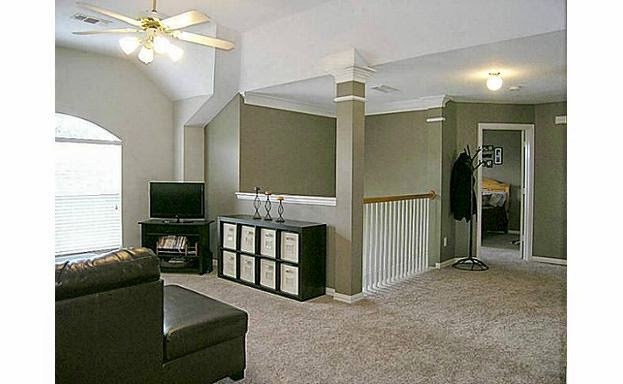 You want people to walk through the front door and never want to leave. You want them to feel like it's THEIR house, their place to sit and be comfortable, to experience their ups and downs, celebrations and sad times, too. You want them to pull out their checkbooks, write a check for earnest money and make an offer. If you have junk falling off the shelves, that is not likely to happen. If there is outdated paint or carpet, dust, or worse yet, mold in the shower, they will likely walk in, quickly glance around, and say, "Nope. This house is not for me." If you're lucky, they won't plug their noses and hide their eyes and run out, then proceed to tell everyone else how horrid your house was because you had the silly idea to put it on the market without cleaning up your mess and making it lovely and compelling and ... SELLABLE. My loft, now, as we wait for the perfect buyer to come along! So you do what it takes to make it right before you ever invite anyone to take a look. It might take a little longer than you anticipated to get to that point. Maybe a lot longer. 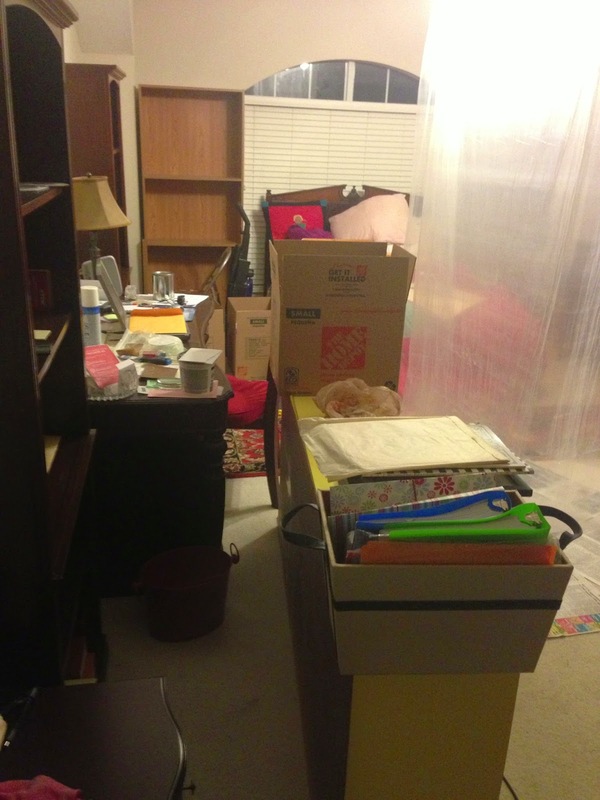 (Wow, there was more junk in that closet than you ever imagined possible. And the dust was, in certain cases, DIRT.) Sometimes, it might even seem to get worse before it gets better. But in the end, it's worth all the hard work and elbow grease, and maybe even a little financial investment. Because when you finally put it on offer, you can relax a bit, knowing you did the very best you could -- even if it's not perfect, because nothing really ever is -- and that if it moves slowly, it wasn't because of anything you neglected to do. Then you cross your fingers and hope and pray it sells. You did your part. Yep. That's what it's like to sell a house. And maybe some other things.